Massage for neck pain is one of the most universally used and enjoyed forms of dorsalgia therapy worldwide. Massage is also perhaps the oldest of all healthcare practices, dating back to prehistoric times. Neck pain patients often find massage particularly soothing, since the neck is a region known to carry tremendous stress and muscular tension, even in people without pain. Massage therapy can be professional, amateur or even done by the patient themselves. Each option may be just as effective as the next, depending on the condition causing the pain, the preferences of the patient and other factors. Massage is generally considered a purely symptomatic treatment, but in some rare cases, may actually help to resolve causative muscular issues responsible for the painful expression. However, for most patients, massage will simply provide the potential for temporary relief from pain, stiffness, tightness and tension, but is unlikely to enact any type of permanent cure. Professional massage therapy should always be provided by a certified and trained therapist. Expert masseuses will typically specialize in one or more styles of massage treatment, with a countless variety of techniques available. There are massage styles catering to every type of patient need and preference, so it is absolutely critical for patients to find a therapist who meshes well with their expectations for treatment. If this is not achieved, the patient is unlikely to enjoy the massage or benefit from it in any significant way. Massage can be gentle or aggressive, soothing or agonizing, deep or superficial. If you do not know what type of treatment you might enjoy most, it may be best to try a few moderate styles and then gauge your future use of the therapy by your combined experiences. If you find a style too rough or too soft, make sure to mention this to your therapist so that they can alter their approach or recommend a better style of massage for you. It is important to understand that professional massage prices vary greatly by provider and geographic location. In some areas of the world, a massage can be really a fantastic value, while in others, it may only be afforded by the affluent. A massage does not need to be offered by a paid professional in order to be effective. I personally vouch for the curative properties offered by a caring massage from a loving friend or family member. I have received countless massages from professional therapists the world over and none compare to the loving touch offered by my own wife. It is true that she has a great understanding of the body and a basic background in Thai massage, but it is the caring that she imparts into the gift that makes her efforts so effective. I truly credit her as being probably the most beneficial care provider I have ever used in my life, doctors and chiropractors notwithstanding. If you have someone who is willing to provide massage to you, I highly recommend you take advantage of their offer. Work together to discover what feels best and even consider trading off massages so that you both can benefit. It is a terrific chance to bond and spend quality time together, as well. Self massage is easy for patients to do also, when the affected area is the neck. Self massage is very intuitive, since if it feels good, do it, and if not, then stop. 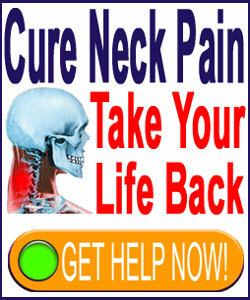 The neck is easily reached and can be thoroughly massaged in a short time. To assist you, there are many products offered for home based massage, ranging from handheld battery-powered devices to professional massage chairs and everything in between. These are worth investigating for patients who want to provide their own massage, but prefer a product or device to do the actual work. Of all the possible neck pain treatments, massage is one of the most universally enjoyed and positively reviewed by patients. Although few patients find actual cures through massage, most find substantial relief for pain, as well as the all-important feeling of relaxation which can make the symptoms far less burdensome. If you do not know where to start with massage for neck pain, take some time to research your options. There are many excellent websites which provide detailed information on various styles and products. Of course, you can also talk to your doctor for a recommendation on a type of massage or therapist which might suit you and your diagnosed condition. Just remember that some services may or may not be covered under your health insurance and self-paid treatments can be expensive over time. For this reason, finding someone special to provide amateur massage can be just as good for many patients, as can the one time investment in a quality self-massage product.